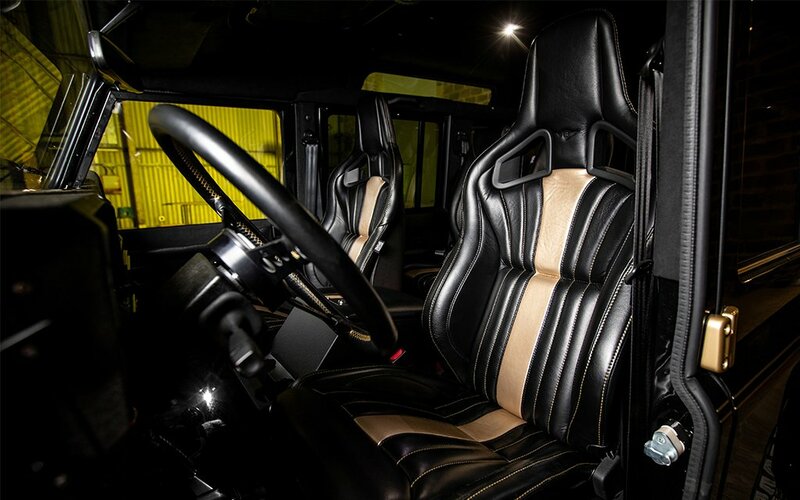 The Best Thing About Arkonik’s 10th Anniversary Defender? It’s for Sale. 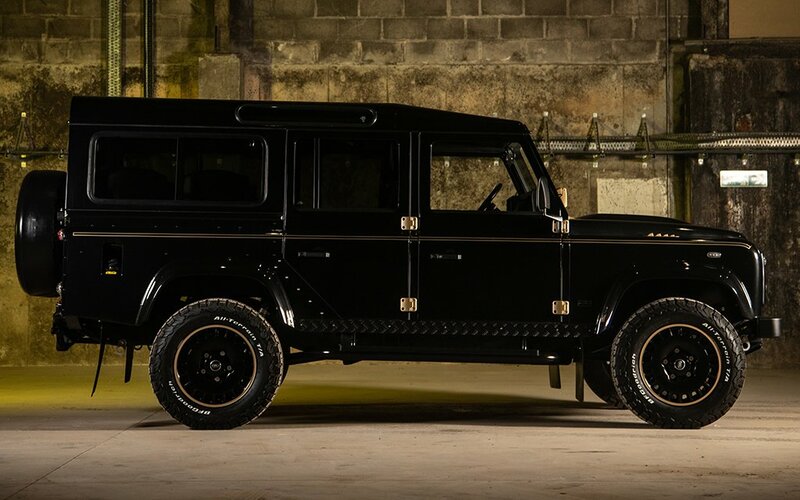 I’d wager more custom Land Rover Defenders cross our desks than any other type of vehicle, which means we’ve been burned more times than we’d like to admit. Some are garish to the point of sacrilege. Many are not for sale, existing purely to tease. Other are right-hand drive, and thus basically worthless to those of us in the States. Then there is Arkonik. 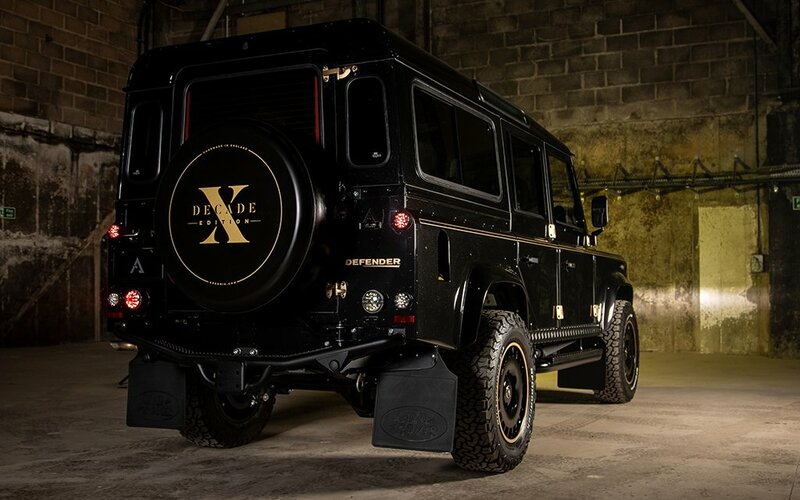 Based in the small English village of Mells, the company has been in the business of restoring and customizing Land Rover Defenders officially since 2007, unofficially since 2006. While many of their contemporaries restore the iconic British SUVs from a place of pure authenticity (Don’t mess with an icon!) or headline-grabbing customization (We added an axle! ), Arkonik deftly balances the two impulses — and, more importantly to you and me, builds with North American buyers in mind. 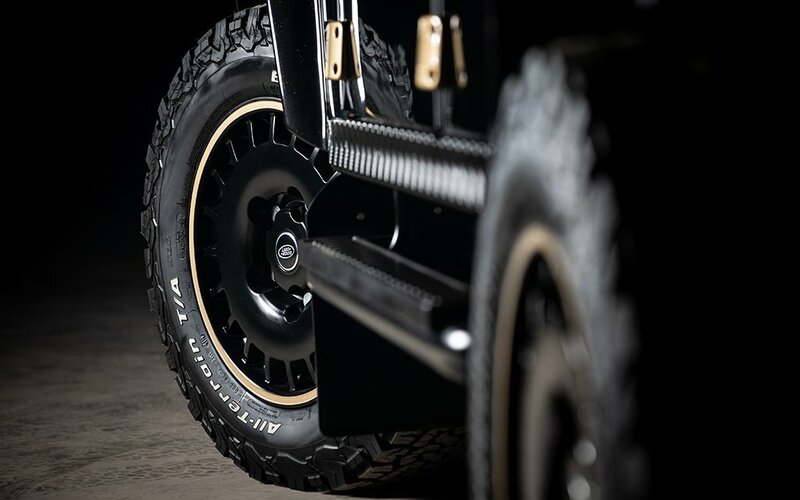 Case in point: Decade D110, Arkonik’s newest reimagined Defender, built to celebrate the shop’s 10th anniversary and thankfully equipped with left-hand drive. “Wait, wasn’t their anniversary in 2017?” Sure was, and that’s when the build began, but 18 months later the Decade is complete and ready for immediate delivery. And when we say “immediate,” we’re talking Amazon-level convenience, but it wasn’t always that way. 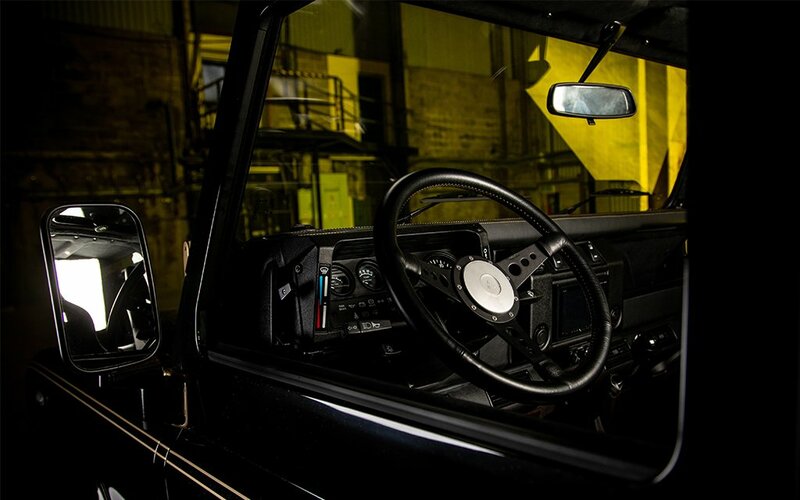 Arkonik began as a hobby in 2005, when founder Andy Hayes was gifted a Defender by his wife. It progressed to a side hustle in 2006 when he bought, restored and resold a 1983 Defender 110, then became a full-fledged business in 2007. 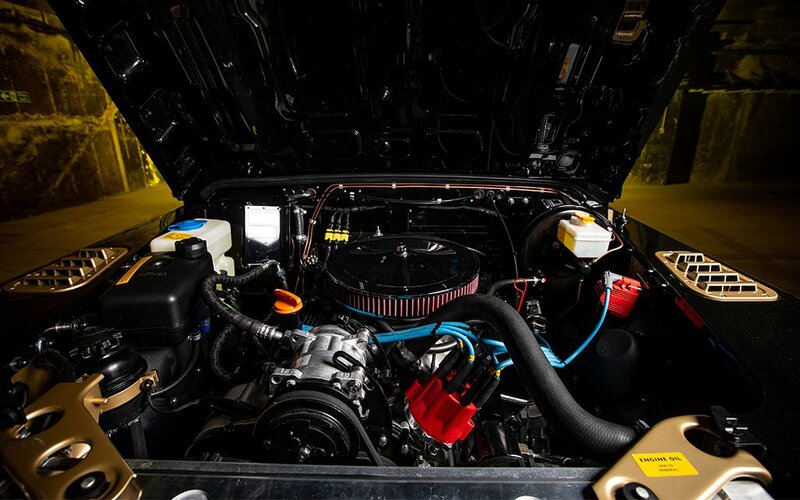 Now, after a name change and burgeoning U.S. business thanks to old-school Defenders passing the 25-year mark for certain import laws, it’s a veritable custom Defender factory. Meaning: if you were to purchase the Decade or any other build, the shop will not only ship it across the ocean in a temperature-controlled container — one of their U.S. representatives will personally deliver it to your doorstep. And while the normal turnaround time for a custom Arkonik Defender is 16-18 months, the Decade is ready and willing to set sail — literally. That is, if you have $200K ready and willing in your bank account. What you’re getting for that large but not unheard of chunk of change is a reputation-staking rebuild of a 1991 Defender 110. For power, we’re talking a rebuilt 3.5L V8 coupled to a five-speed manual transmission. 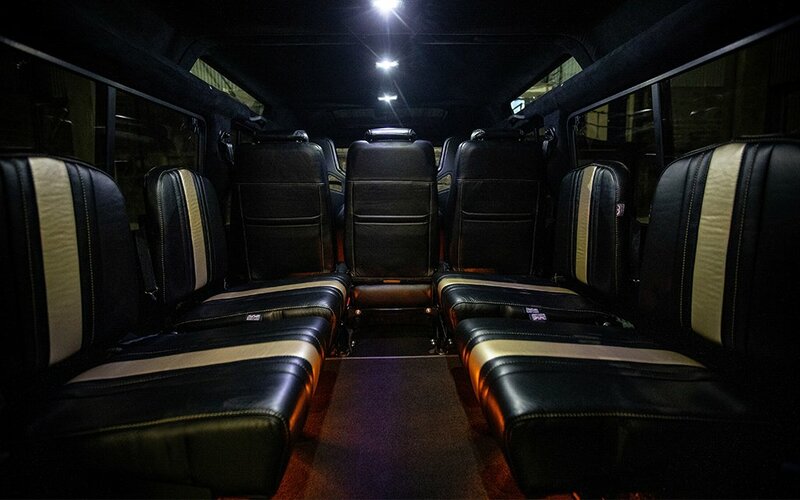 For passengers, there are nine seats, split between two up front, three in the second row, and four inward-facing in the back (all in black and gold leather, natch). And for everyone else ogling from the outside, the custom “Santorini Black” paint job gets a flourish worthy of Savile Row in the form of hand-painted pinstripes. If none of that means anything to you, rest assured, this Defender also has Apple CarPlay.